This is an informative video which explains how fracking works. Fracking is the extraction of oil and gas from shale oil deposits in tar sands. 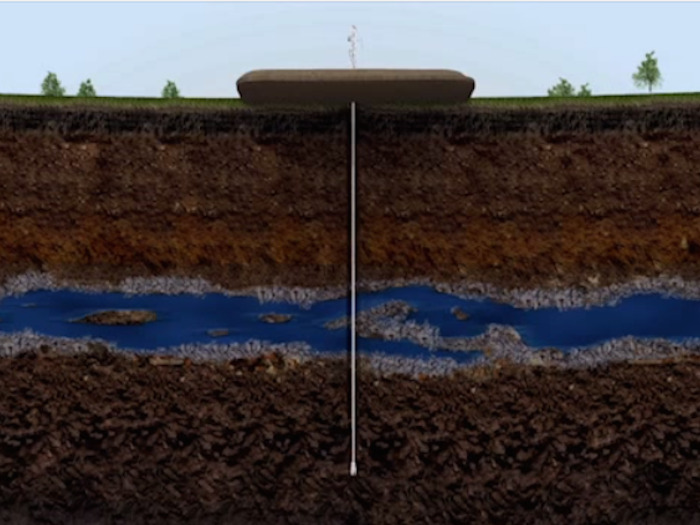 There are many environmental questions about fracking, and this video does not address them. It is simply intended as a primer on what fracking is and how it works. This animation does come from an oil company - Marathon Oil - so take it in that spirit. Fracking is taking place and has only grown in use over the past decade, and there is no sign that it is going away any time soon. Fracking has been around for decades and only recently has become controversial because of its massive increase in use due to higher oil prices. It involves horizontal drilling and explosive charges fired off deep underground. Water, chemicals and sand are pumped down the pipe and out through holes in the pipe, creating fractures in the ground that allows the trapped oil and gas to flow to the pipe and be extracted. This continues along the entire horizontal pipe, which can extend for several miles. Each well can last literally for decades. 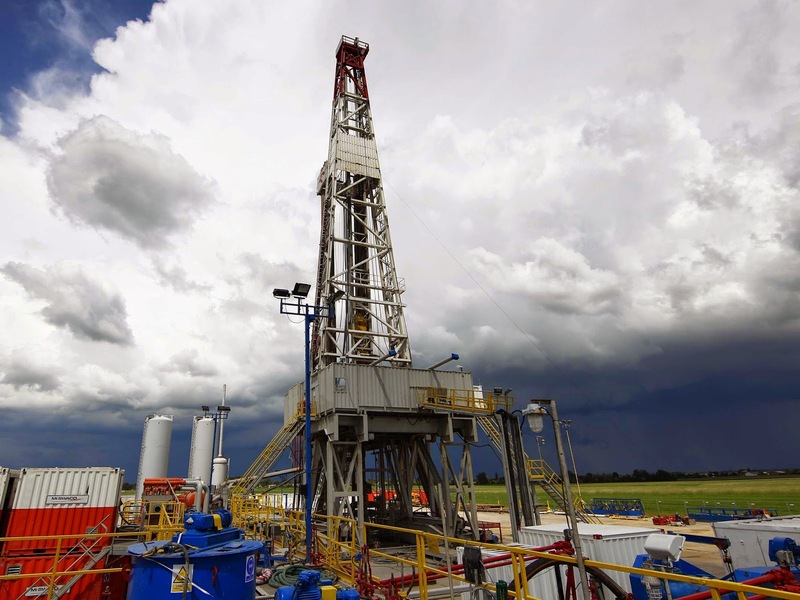 While it has disrupted the environment in many locales, fracking has positives (many positives) in that it creates jobs and has turned the United States into the largest supplier of oil and gas in the world. That has helped the US balance of payments and economy and has kept a lid on oil and gas prices for consumers. There is continuing huge demand for oil and gas, and regardless of advances in solar and other renewable and sustainable energy sources, that demand is not going away any time soon. So, it is useful to at least understand the fracking process, because it is a factor in everyone's life. The animation is intended as a primer for novices to the industry, but it does get into some interesting little-known aspects of fracking, such as the impact of bacteria on the process. Bacteria that lives off of hydrocarbons are a bane of the drilling industry. If the bacteria builds up enough, they can impede the flow of oil and / or gas. The bacteria also cause oil to become viscous and acidic. Rudolph the Red-Nosed Reindeer (1964) - Burl Ives Rules! Frozen 2 is On its Way!